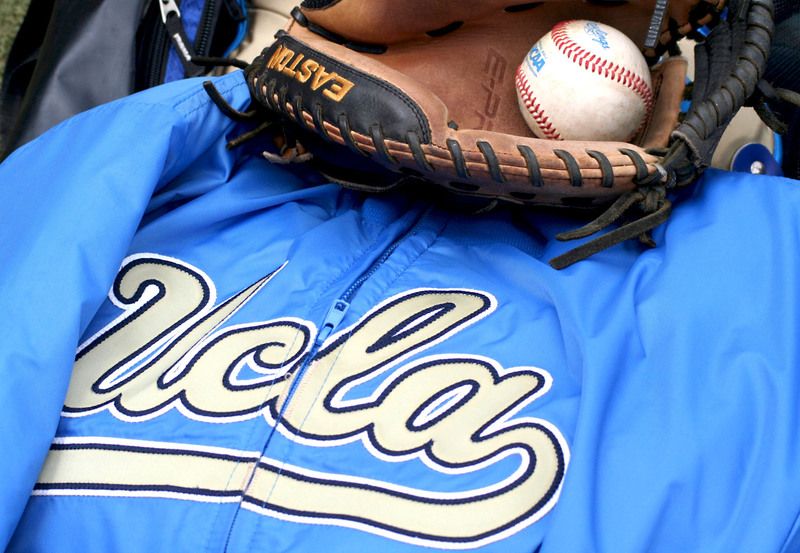 The UCLA Bruins have been playing baseball on the varsity level since 1920. Their team nickname is the Bruins and their colors are blue and gold. UCLA is a member of the PAC-12 conferences and they play their home games at Jackie Robinson stadium, an 1820 seat facility in Los Angeles California. The Bruins have won eight conference championships and have appeared in the College World Series and have made five College World Series. 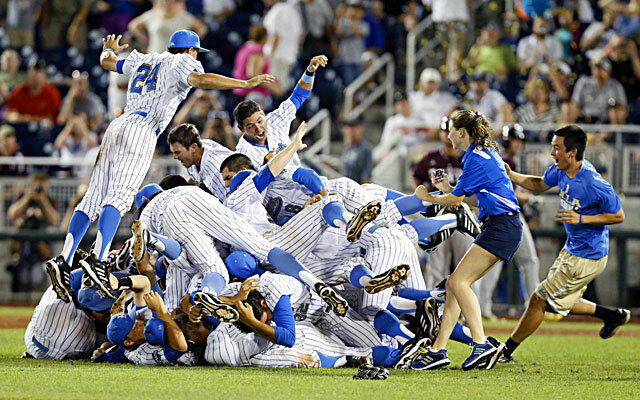 In 2013 UCLA won their first baseball national championship. The Bruins have been coached by John Savage since 2005. UCLA is probably the most successful university in American history in terms of collegiate athletics and Southern California has produced more pro baseball players than any region in America. Yet, despite this, UCLA’s baseball program was fairly pedestrian for its first 50 years of existence. In fact they had only won one conference championship until 1969, when a Chris Chambliss and Bill Bonham led to team snagged the then-Pac 10 and advanced to the College World series for the first time in Bruin history. However the program wouldn’t make another College World Series until 1997. That’s not to say UCLA didn’t produce some quality players. Troy Glaus, Eric Karros, Chase Utley and Jeff Conine were among those who went through Westwood during that time period. But even after making their second CWS UCLA was still very much in the shadow of local rivals USC and Cal State Fullerton. That all began to change in 2005 with the hiring of coach John Savage, who had seen success at another local school, Cal State Irvine. 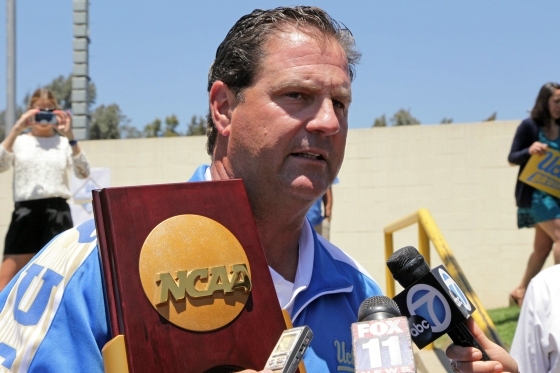 The Bruins became NCAA tournament regulars under Savage, and in 2009 advanced to the final game of the College World Series. 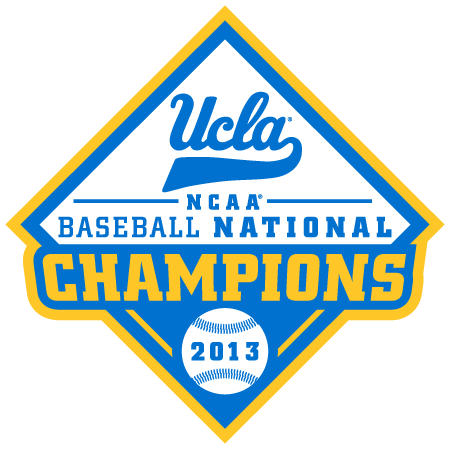 UCLA baseball made their fourth College World Series in 2012. In 2013 they took the big prize and won their first baseball national championship, announcing themselves as a Southern California baseball power on solid footing with any other program. The UCLA Bruins play their home games at Jackie Robinson stadium, which is named after the famous UCLA alum. (Who was a much better football than baseball player during his college days.) In 2013 a Federal judge declared that the Department of Veterans affairs — who own the stadium — have misused it. At this point it looks like the Bruins will still be able to continue to lease the stadium from the Department, but given the ruling and the stadium’s small size (it barely fits over 2000 standing room) it is likely UCLA will soon be looking to build a new home ballpark.